NAPE recently organized a very successful workshop with the theme ‘’Positioning the Oil Industry for Enhanced Performance in the New Dispensation’’. What was the rationale for organizing the Workshop? As you know a new government has just been formed to steer the affairs of the nation for the next four years. There is also an on-going restructuring of the national oil company and it will be most irresponsible of the association that has a membership of over 7000 professionals (Geoscientist and Petroleum Engineers) in the oil & gas industry not to contribute its quota to good governance. 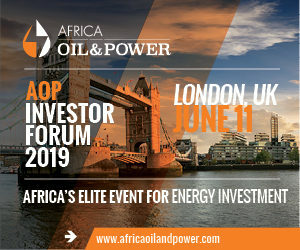 Nigeria is at risk of long-term disruption to oil and gas supplies, power generation, a collapse of industries and significant loss of revenue due to continued reduction in hydrocarbon exploration activities. The objective of the workshop was to identify current opportunities and threats in the Exploration, Development and Production of hydrocarbons in Nigeria. Additionally, it was aimed at identifying industry best practices and proposing to the Federal Government of Nigeria such strategies that will enable the full realization of the potential to the stakeholders in the oil and gas sector in this country. For some time now exploration for hydrocarbon activities has been on a decline. How critical is this reduction in exploration activities to the oil and gas industry in particular, and the Nigerian economy in general? Unfortunately, Nigeria can be described as having a mono-economy that is driven by oil. More than 90% of the nation’s economy is dependent on oil and gas. Therefore, we expect that once there is an issue in this sector, every other sector suffers. At this time of drop in oil prices, we think it is the appropriate that we don’t lose focus on exploration (find more oil & gas) if we intend to become an energy self- sufficient nation. Hence we can’t afford to reduce exploration activities. Indeed there is a need for the government to provide fiscal terms and incentives that would favour exploration work in frontier areas and deeper opportunities in the high pressure/high temperature regime to meet our reserves replacement goals. Is there anything you think government can do differently to help the industry? First, there is the need to immediately address the uncertainty surrounding the passage of the PIB because no right thinking investor would open up new areas when they don’t know which direction the PIB would go. The PIB as is should not be passed but should be unbundled and the relevant sections of the Petroleum Act be amended to meet the current realities and to position Nigeria to be globally competitive as an oil and gas producing country. There is also the need to come up with new incentive scheme that may guarantee minimum profitability and or some level of tax exempt that will encourage exploration activity in frontier areas and the deep high pressure/high temperature play concepts. The industry will see some growth in the gas sector. It is believed that the low power generation in the country has been attributed to among other things, a lack of adequate capacity to process and transport gas to power plants. Government needs fix the lack of a coherent policies on gas to power that has hindered the integration and long-term investments required to ensure adequate capacity supply of gas to power. Also market-driven tariffs should be put in place to attract local and international investors to fund such projects. Finally, if there is uncertainty or lack of clear policies, rising insecurity may return. Therefore the government needs to stay on top of this if the benefits of any growth in the industry is to be realized. What is the relationship between NAPE and other Associations and Government Agencies? NAPE is the largest professional association of petroleum geologists and related disciplines in Nigeria and Africa. Members include geologists, geophysicists, CEOs, managers, consultants, students and academicians. We are affiliated with the American Association of Petroleum Geologists (AAPG) and, we have collaboration with other professional associations like Society of Exploration Geologists (SEG), Society of Petroleum Engineers (SPE), Nigerian Mining and Geosciences Society (NMGS) in hosting programmes and activities that advance the study and practice of geosciences. We have also collaborated with government agencies like the Petroleum Technology Development Fund (PTDF) via NAPE’s University Assistance Programme (UAP) in creating linkages between tertiary institutions offering geosciences and the oil and gas industry. The nation’s capacity for locally refined petroleum products increased recently. Is this trend sustainable and what other cost effective alternatives to crude oil refining would you advocate? Yes, this is sustainable….where there is the will, there is a way. The hitherto comatose refineries have suddenly jumped into life with the new leadership. There is the need to take advantage of the advent of modular refineries that were recently approved by the Government and optimize the benefits of signing the contracts that are going to be in place. I understand that the current model is structured to deliver only diesel fractions when it should have been on multiple fractions including PMS which the country desperately needs. We should look for opportunity to fuse them to get mini refineries that will reduce incidence of pollution and wastage. The Department of Petroleum Resources (DPR) is Nigeria’s Oil and Gas industry regulator. Do you think the agency had been effective in carrying out its statutory role? I do not think it will be fair to say that DPR has been ineffective in carrying out its statutory role and if that is the perception it certainly did not start in the last administration. Though it will be fair to say that excessive interference through political appointments of the agency leadership and its operations has increased short-term focus at the expense of longer-term view and DPR is often hamstrung in enforcing regulatory compliance. Also Government needs to give them some level of autonomy to perform and officers who have great understanding of the industry should be appointed to lead the agency. Bid Rounds have in the past been enmeshed in controversy. What in your opinion is the way to institute a credible process? The watch word is transparency, and avoids discretionary award or selective bidding process. Bid round guidelines for potential investors should be simplified. The previous guidelines were too convoluted (saddled with SPVs, railways, refinery, LNGs, etc) for would-be investors. We should also look at reducing the sizes of the acreages on offer and increasing the frequency of the licensing rounds. Most entrepreneurs complain of getting the right personnel in their business, is there anything NAPE is doing to cushion this effect for its members? First, NAPE has collaborated with government agencies like the Petroleum Technology Development Fund (PTDF) via NAPE’s University Assistance Programme (UAP) in creating linkages between tertiary institutions offering geosciences and the oil and gas industry to design curricula that are relevant to the industry needs. Second NAPE is a professional association of petroleum geoscientists with a global reach, set up to promote the study and practice of the geosciences for the benefit of members and other stakeholders. We organize exhibitions, technical and business workshops and seminars, field trips, conferences, and short courses. Do not forget that these members include geologists, geophysicists, CEOs, managers, consultants, students and academicians. All members have equal opportunity to attend and be part of above listed sessions along with monthly technical meetings every year. Infact our Annual International Conference and Exhibition (AICE) holds in November every year and is listed in most reputable global oil and gas journals. This year’s AICE is the 33rd edition and it will be taking place at the Eko Hotel & Suites, Victoria Island, Lagos from November 8-12, 2015. The theme is “Global Energy Dynamics and Implications for Nigeria’s Energy and Economic Security”. 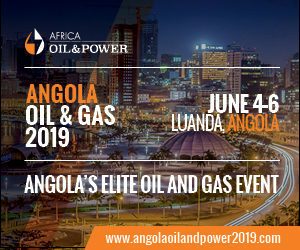 The intent of this event is to provide a forum for the membership of the association and stakeholders in the oil and gas industry to share ideas on new technologies and industry best practices. This year’s conference will also feature our annual pre-conference workshop and events commemorating the 40 years of existence of this great association.